This year marks the 300th anniversary of Britain’s most celebrated furniture maker, Thomas Chippendale. His designs reached both sides of the Atlantic through a groundbreaking pattern book, The Gentleman and Cabinet-Maker’s Director of 1754. During his lifetime he oversaw one of the largest cabinetmaking and upholstery firms in London, and eventually his name defined an entire style of eighteenth-century furniture. 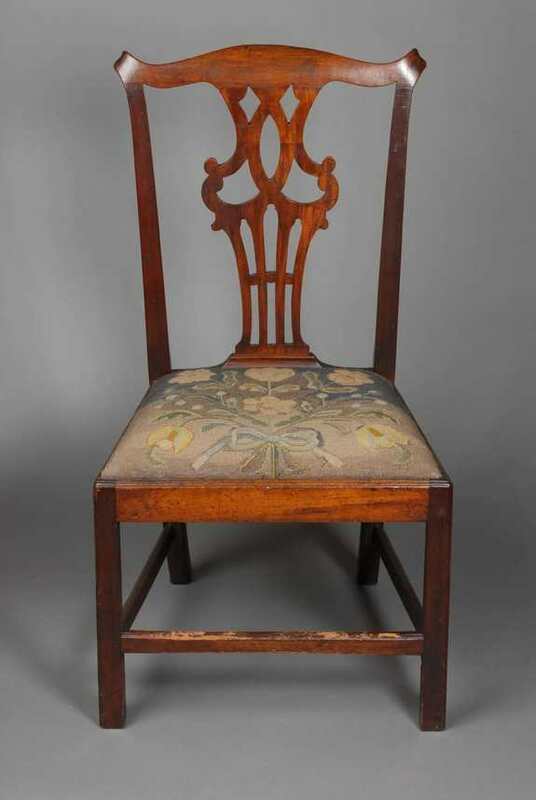 Join Brock Jobe, Winterthur’s Professor Emeritus of American Decorative Arts, as he recounts the remarkable story of Chippendale’s career and takes us inside some of his greatest works. Along the way, we will confront the truth as well as the fiction associated with this fascinating character. The lecture will begin at 6:00pm, followed by a light reception. Please note that this lecture is limited to 75 participants. Reserve your spot now! In 2000 Brock Jobe was appointed professor of American decorative arts in the Winterthur Program in American Material Culture after a 28-year career as a museum curator and administrator at the Museum of Fine Arts, Boston, Colonial Williamsburg, the Society for the Preservation of New England Antiquities (now Historic New England), and Winterthur. Between 2010 and 2014, Brock co-directed the collaborative project, Four Centuries of Massachusetts Furniture, which united eleven institutions in a celebration of Bay State furniture-making. His newest publication, Crafting Excellence: The Furniture of Nathan Lumbard and His Circle, which he co-authored with Christie Jackson and Clark Pearce, appeared in January 2018. Brock is a recipient of the President’s Award from Old Sturbridge Village, the Award of Merit from the Antiques Dealers’ Association of America, and the Eric M. Wunsch Award for Excellence in the American Arts. He retired from his professorship in May 2015, but retains an office at Winterthur and continues to study, write, and lecture about American furniture.